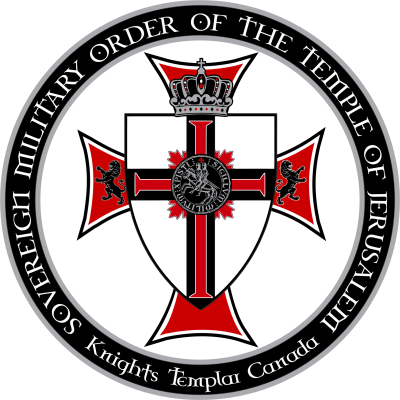 - OSMTJ-Knights Temeplar of Canada. We exist for God's glory and for the fellowship and global networking of Brother and Sister Templars. We are all followers of Christ, Catholics, Protestants, and Orthodox, united in our vows of Knighthood to live a purpose filled life. the Grand Prior of Canada is Keven Ellis. Please invite other Templars to our site who may be interested in joining. 3) Being verbally abusive to others or criticizing other's ideas. 5) The OSMTJ is not here to ask for your money and so to avoid that perception, there will be no posting of fund-raisers outside of our official OSMTJ fund raisers. 6) While we are anti-Isis, and anti-al Qaeda, general attacks against Islam or any religion will not be tolerated. Christ said in John 15:12: "My command is this: Love each other as I have loved you." 1) Let it never be far from your mind to aspire to the Knighthood you’ve been granted as God sees us at all times. Don’t take your responsibilities lightly and live up to the calling and honor that has been bestowed upon you. 3) With courage and conviction, be a witness to the love of Christ through your lifestyle, words, and the example that you set for others everyday of your life. 4) Please attempt as much attendance to OSMTJ events as possible. 6) Become acquainted with your fellow Brothers and Sisters and be ready to pray and help them in their time of need.